This page has become a resource for all paddlers. Club members have been to these launching sites on more than one occasion To obtain your local driving information and directions click here. 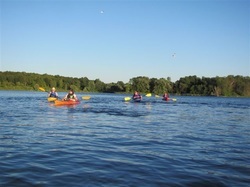 St. Lawrence Park and the sixteen Brockville City Islands is a great place for a day paddle. There are also camping facilities at the park and on the islands. Be careful of marina traffic and the international shipping lane. There can be strong currents near the islands. 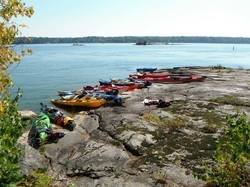 The St. Lawrence Islands National Park also starts here at Stovin Island in the Thousand Islands. 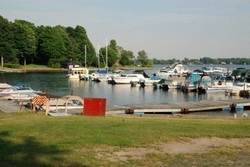 Members met at the Long Sault Marina. A shuttle for vehicles and boats was arranged by those who attended. This was a downstream paddle from Ingleside to the Long Sault Marina on the St.Lawrence River. The paddle covers areas of the Lost Villages in the Long Sault Parkway. Get directions at bottom of page. Marina in South Lancaster for a leisurely two and a half hour paddle up the Rasin River towards Williamstown. We returned with the current and members stopped for lunch at one of the local restaurant patios along the St. Lawrence River. Use the directions widget at the bottom of this page to obtain your local driving information. We met at the SNC Park at Cass Bridge on HWY 31, south of Winchester. The route was upstream to Oak Valley Park with a return paddle. Approximately a two hour paddle. At Oak Valley, it is extremely difficult to get out because of current and very steep river banks. An easy two and a half hour paddle downstream, will bring you to Chesterville. Use the utility at the bottom of the page for your local driving directions. 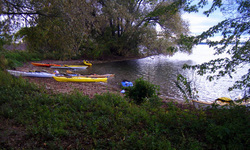 We met at the very end of Avonmore Road, south of HWY 2 in an unserviced park and beach area on the St.Lawrence River. The location is between Long Sault and Cornwall, ON. Although it is not serviced, this is a great spot for picnicking, swimming and kayaking. There is a damn just down river at Cornwall. When travelling east, be aware of this. 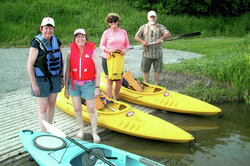 We met in Kemptville at Curry Park boat launch at the end of Parliament Street. This is a leisurely paddle downstream to the Rideau River. Across the Rideau and to the left is a provincial park with beach and picnic area. 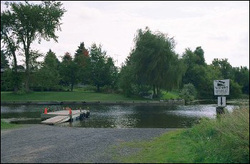 By travelling up Kemptville Creek instead, it may be possible to reach a wharf at a local restaurant. There is some current. Use the utility at the bottom of the page to find your local driving directions. 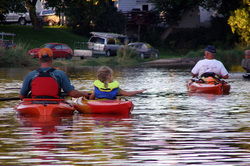 The Chesteville Kayak Club often paddles here on the South Nation River. We meet at the town's boat launch. There are specialized kayak launching docks at both the waterfront and Veteran's Park. The paddle is always west, There is a damn in Chesterville. Use the utility at the bottom of the page for your local driving directions. 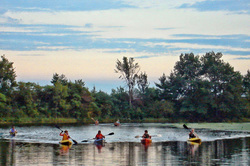 An easy paddle on the South Nation River from Casselman, Ontario. We meet at the town boat launch (near the bridge) at High Falls Conservation Area. This is also a park and picnic area. If you wish to paddle downstream of the town weir, it is possible to reach a rural boat launch by travelling further on for approximately another ten minutes. Use the utility at the bottom of the page for your local driving directions. We meet at the Morrisburg Beach (between the golf course and the public dock). We kayaked on the St.Lawrence River, Nash Creek and Broder Island areas. A great spot. Good launching with a park and beach. There are many local facilities close at hand. Use utility at bottom of page for your local driving directions. We meet at the boat launch and parking area in Crysler. We take Second Street near Crysler Automotive and travel to the parking lot and launch. For your local driving directions refer to the map at left and use the utility at the bottom of the page. 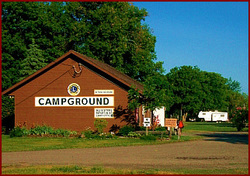 The Merrickville Lions Campground is situated along the historic and scenic Rideau River. Club members have rented a weekend site here on more than one occasion. A great spot. Please use the utility at the bottom of the page to get your local driving directions. There is a launching area near the end of Machabee Street, in St.Albert. 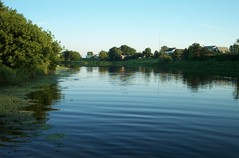 Machabee runs north on the east side of the South Nation River. This is a relaxing paddle in either direction. Use the utility at the bottom of the page to get your local driving directions.